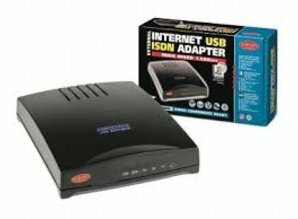 A fast ISDN connection is ideal for frequent use of the Internet. The Sitecom ISDN PCI card is guaranteed to connect up to 128 Kbps. The card is easy to install and thanks to its Stollman drivers is compatible with all operating systems and configurations. - Including RVS-Com-Lite for communication port simulation, sending and receiving faxes, digital answering machine, data communication, analogue modem simulation (e.g. girotel), etc.